Some cocktails are best served very cold. Freezer cold. Martini, anyone? These are serious cocktails you can make right in the liquor bottle. Store them in the freezer for a quick individual cocktail and, prepped in advance as they are, they make easy work of serving a party crowd. 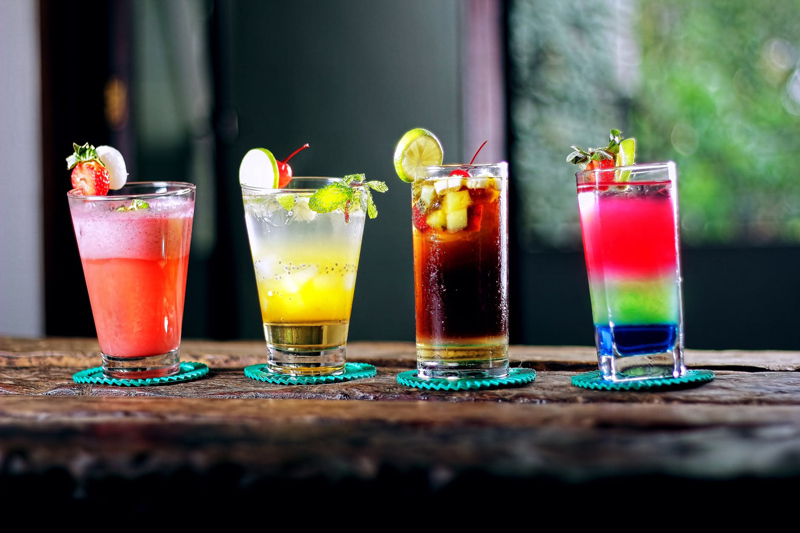 Ever discover a delicious new cocktail on vacation, at a party, or at some other festive or exotic event? Ever tried to re-create it at home? Didn’t work quite so well, did it? That could be because of location, according to Charles Spence and his fellow research scientists at Oxford University. When Bryan Fite, 40, moved into his newly purchased 1850s St. Joseph, Missouri, house, a DIY project revealed a treasure trove of 100-year-old whiskey. How much is the uber-aged whiskey worth? A rare bottle of single-malt whiskey from the 1930s recently sold for $100,000. Fite’s booze is older. In little more than two weeks, the most famous horse race in the United States will get underway - the Kentucky Derby! Enjoy this trifecta of Mint Julep cocktail recipes to sip at your own Run for the Roses soiree. Ever wonder what the proof on liquor labels is all about? What does it prove? Is the British Royal Navy involved? Gunpowder?? Mysteries revealed here . . . The latest Barfly Buzz from our regulars at the BellaOnline Cocktails site. Subscribe for free weekly updates from this Cocktails site.